Zoya and Aaron Ben - a Pairing of Champions! Guardian Bears Kennel is happy to announce that AKC CH Russian Bears Rockstar Yablunevyi Tsvit CGC (Zoya) had her second litter on February 12, 2016 – three boys and three girls. 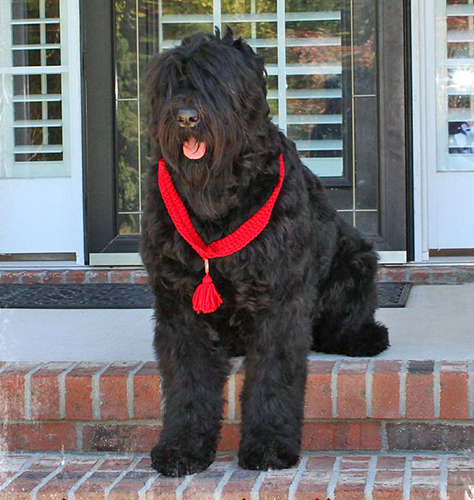 We’re proud to be the first Black Russian Terrier breeder to have an American-born litter sired by Germany’s multi-country champion and well known great producer Aaron Ben Hur vom Don. Our Nika’s Babies Are Here!